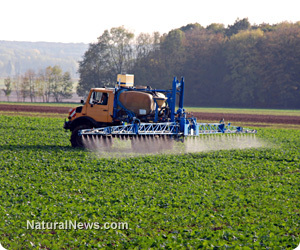 (NaturalNews) Natural News does not support the widespread use of chemical fertilizers in agriculture because of the harm that they can do to soil and because of the toxins that they can deposit in nearby streams and water tables. That said, when there is a new technology that seeks to remove chemical toxicity caused by agricultural runoff, we do get pretty jazzed up about that. Phosphorus is one of the most widely used chemical compounds in modern fertilizer - and can be one of the most toxic as well. As Mike Adams, the Health Ranger, reported as far back as 2005 on this very site, excessive phosphorus can be damaging to local and regional ecosystems through the formation of algal blooms, which lower oxygen levels for aquatic life [http://www.naturalnews.com]. Because of its widespread use (which is increasing all the time as agricultural production increases to meet the world's food demands), scientists are predicting that there will be a shortage of phosphorus in the coming decades. And while more demand for the compound's agricultural use is not good - again, we'd prefer a cleaner method of agricultural production - scientists have found a way to at least prevent it from escaping into the environment. Conventional methods for extracting phosphorus from wastewater use chemicals to precipitate a mineral called struvite from the water. Struvite contains phosphorus, ammonium, and magnesium, and is a useful slow-release fertilizer. Some struvite naturally precipitates out of the water in wastewater treatment plants, causing pipes to clog. But to extract the mineral in amounts that could be sold as fertilizer, engineers must add large amounts of magnesium and increase the pH of the wastewater by adding a strong base. And the required amounts of the additional chemicals make the process so expensive that struvite recovery is hardly ever cost-effective for utility companies, according to Long D. Ngheim, an environmental engineer at Wollongong. In order to bring down these costs and make the process cleaner, Ngheim and his colleagues chose to modify a system they had recently designed for harvesting freshwater from sewage waste using a process of forward osmosis and membrane distillation. "By tweaking this method, they have reduced the amount of chemicals required to mine struvite from wastewater," C&EN reported. To enhance struvite recovery, the team replaced the usual NaCl [sodium chloride] draw solution with one of MgCl2 [magnesium chloride]. Magnesium ions flow across the membrane to the wastewater side because of the chemical gradient between the two solutions. To preserve charge balance, protons diffuse from the wastewater to the draw solution, increasing the wastewater's pH. Increasing both the magnesium concentration and the pH of the wastewater creates more favorable conditions for struvite precipitation. To maximize the precipitation, the researchers also added small amounts of MgCl2 and NaOH [sodium hydroxide] to the wastewater. Fresh water is recovered in the second part of the system. In all, it is capable of distilling about 9 liters of freshwater per hour. "It's a very innovative and elegant proof of principle," Roland D. Cusick, an environmental engineer at the University of Illinois, Urbana-Champaign, said. Still, he adds that the Australian team has some hurdles to overcome before their system can be applied on an industrial scale.